Last post for today, I swear! I made a Facebook like page for my blog. I figured it'd be easy to get updates right on Facebook if you don't want to check out this site often. I procrastinated for a long time because I figured it'd be a lot of extra work, but it actually picks the posts right up and imports them. Easy peasy. I've been working on my 2013 Nelson Awards to local restaurants. Trying to come up with categories (best Italian, best Mexican, best brunch, etc.) as well as restaurants that fit in those categories. Suggestions, opinions? Would love to hear what you think! Unfortunately, I was not asked to be a judge again this year, but I want to pass along the info for the upcoming Ronald McDonald House Charities Chef Challenge. -Great food and a great show to watch as these chef’s race the clock to prepare a winning meal!! Tickets are $20.00 per single and $30.00 per couple. 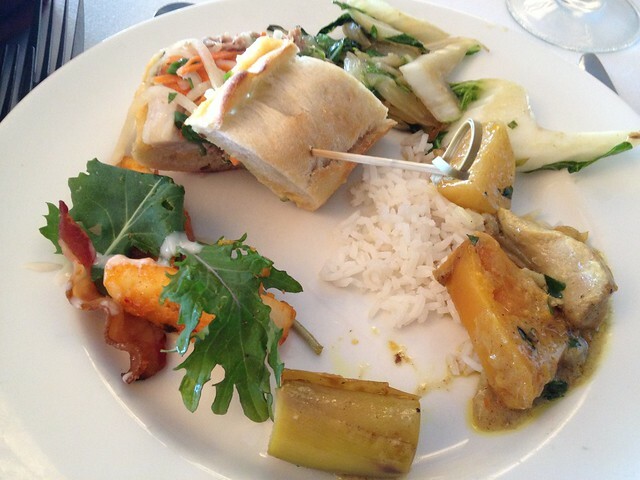 This includes a sampling meal from each chef, of whatever they are cooking for the judges. Tee-bonez had been on my to-try list for quite some time - so much so that I didn't have a chance to get around to reviewing it and Jackson's Bar and Grille actually replaced it in the Cheat Lake area. I wasn't going to let this one slip through my fingers, so I asked on Facebook what their hours were. I got a prompt response from Chris and headed over a few days later. It's at the back end of a cluster of buildings, and it's actually a bit fancier than I was expecting. Chris opened the door for us when we arrived and asked us where we'd like to sit. 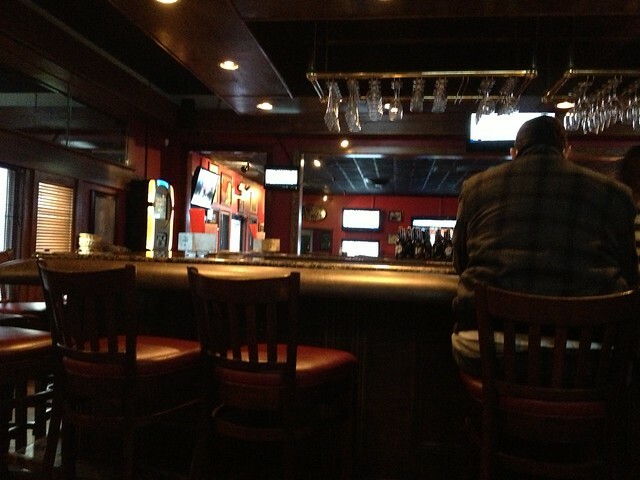 There was a white-tableclothed area straight ahead, but the lights were off, so we said we were fine sitting in the bar area since there were already folks there. 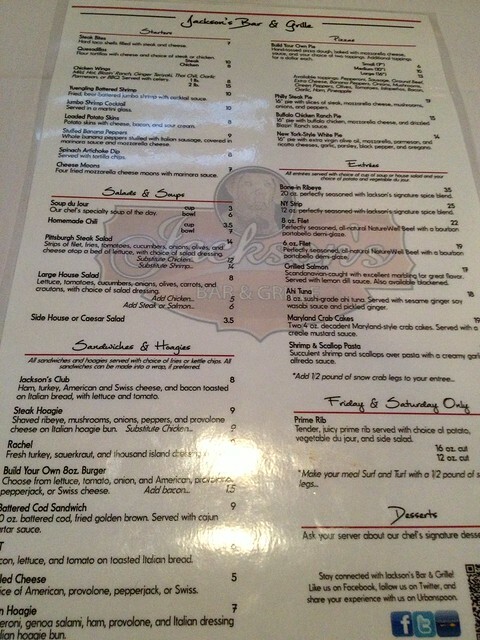 The menu isn't huge, but it has a little something for everyone - sandwiches, burgers, fish, steak, pasta. 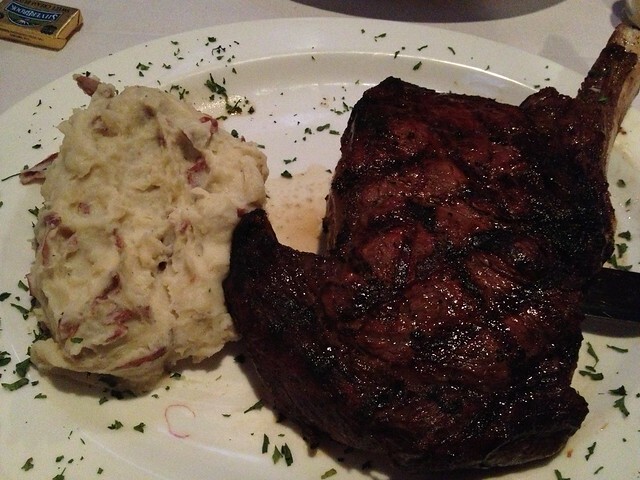 Though I rarely order red meat, it looked as if it was their specialty, so I ordered an 8 oz. filet. After a few minutes, the server came back to tell me they're out of filets, but would prepare the ribeye for the price of the filet. Okay, deal. 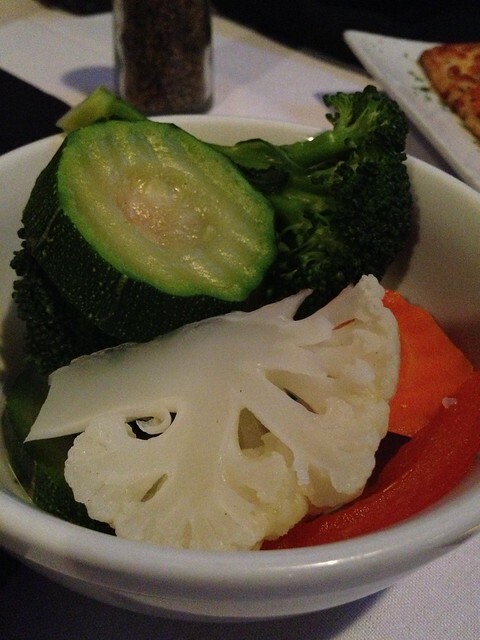 It came with a salad, choice of potato (mashed for me), and steamed veggies. The salad was out first. I asked for French dressing. I don't know if they make their dressings in-house; I'd be surprised if they did because I don't know many places around town that do, but it was really tasty. I have bought a lot of French dressing, but haven't tasted one quite like this. It was definitely on the sweeter side. But it was a good sweet - at least for me. 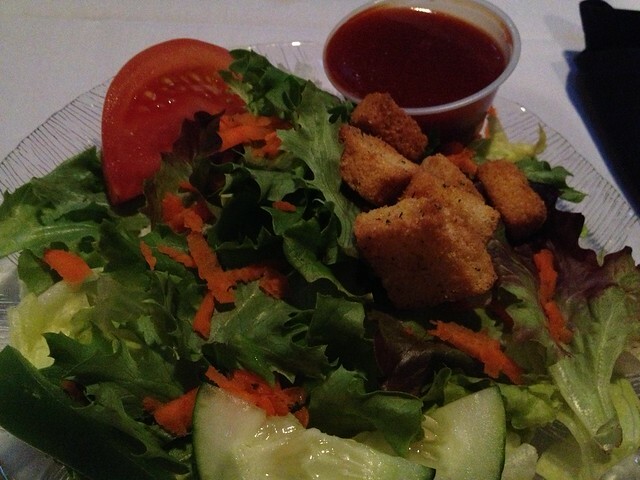 Combined with a giant hunk of tomato and some croutons, the salad is an easy way to win my heart. For just a side salad, I was pretty happy with my plate. Before our main dishes came out, Chris had came out to ask if we wanted to try their spin on bruschetta - it's on pita bread and has ricotta cheese. Uh, yes. This was really like a free appetizer almost, because it was a huge plate; I thought we'd just get one little piece. But it was cut up into almost a dozen slices and was quite tasty. 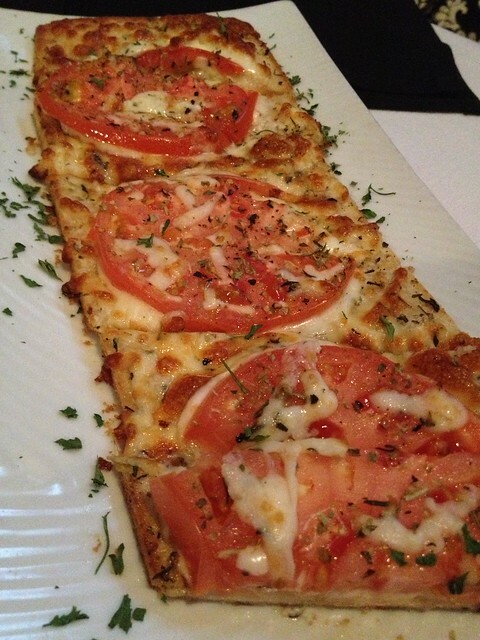 I do like the crunch of bruschetta, but with melty ricotta cheese, it's hard to top. Pretty good. Then our main entrees came out. This slab of meat was the size of my face. 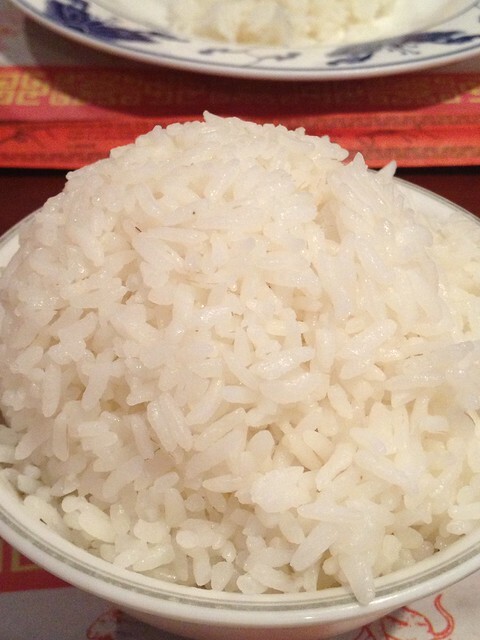 I asked for medium-well, and it was cooked perfectly. Very nicely cooked. 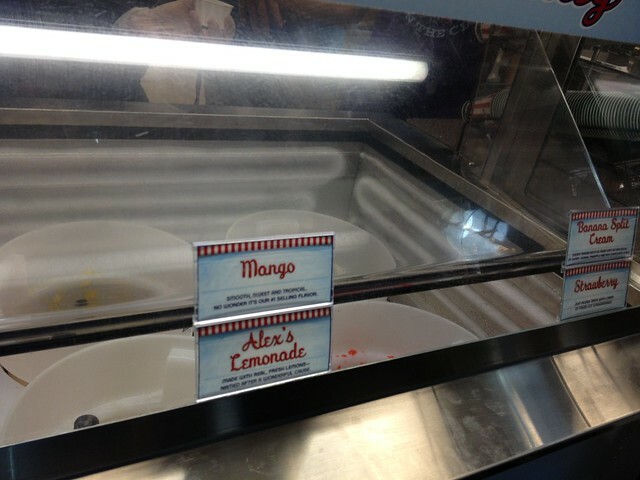 It really wasn't as flavorful as I was hoping. I used some A1 sauce to amp up the taste, but I really didn't want to have to do that. It was okay. It tasted like meat. Some marinating or more flavorful spices would've been stellar. But, not bad. The potatoes were actually really well-seasoned, though. I usually hesitate with the ones that have the skin mixed in because of an odd texture difference, but this blended seamlessly. I had pieces of rough skin in a creamy mix, but this was perfect. Delicious. The service was spot-on, too, as Chris even made sure he said bye to us as we left. If the meat took on more flavor, I'd be happy. Because the service and other items were awesome. MORGANTOWN, W.Va. – The West Virginia University Erickson Alumni Center’s Executive Chef Scott Spiker enjoys a challenge. Whether he’s creating a unique menu for guests or whipping up one of his famous, award-winning barbecue recipes, Spiker knows how to impress an audience. So when the opportunity to compete in the Cast Iron Cook-Off presented itself, Spiker started working to gather a team of “amateur” cooks to bring his culinary flair to life. Spiker, his sous chef Justin Wilson and seven WVU alumni and friends will go head-to-head with seven other teams from West Virginia to take home the title of “Overall Cook-Off Grand Champion” on Saturday (Feb. 2) at The Greenbrier Resort. 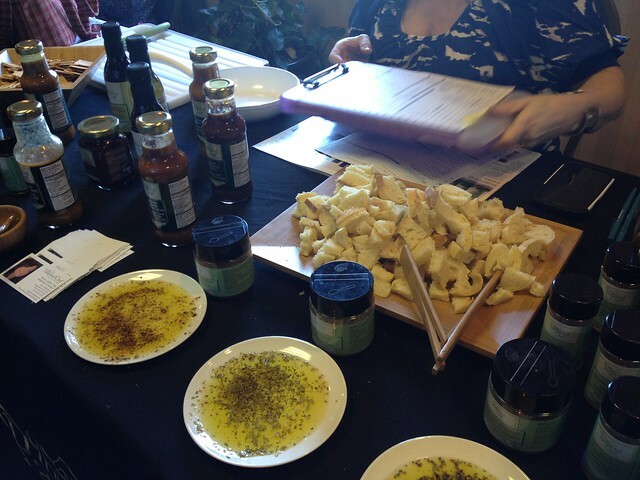 Each team includes an executive chef, sous chef and eight non-culinary participants. In addition to Spiker and Wilson, The Erickson Alumni Center team includes Lisa Biafore, Gregg Cave, Andy Rowlands, Mark Yozie, Jacques and Janet Williams, all of Morgantown and Melissa Curtis of Harpers Ferry. A high school culinary student assigned by the cook-off organization will also join the team. Spiker joined the WVU Alumni Association in July 2008 as executive chef for the Erickson Alumni Center. Since the opening of the facility, he has delighted guests with his creative cuisine and award-winning menus. Before joining the Alumni Association, Spiker served as the Chef DeCuisine for Nemacolin Woodlands Resort in Farmington, Pa., where he was responsible for overseeing all aspects of operations including banquet production and catering services, as well as daily, weekly and monthly menu specials. He also worked at various restaurants including Dolfi’s and Mario’s on the Mon in Masontown, Pa., and the Uniontown Country Club. He also served as the corporate chef for The Boston Beanery. 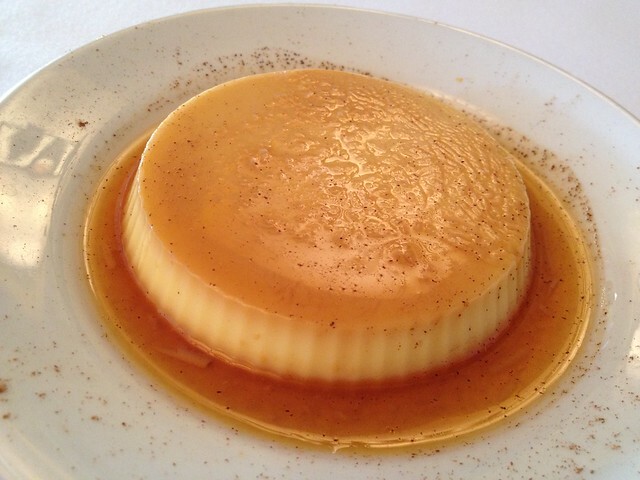 Spiker has more than 25 years of experience in the culinary arts and has received many certifications. His barbecue ribs and chili have earned numerous awards. He previously taught culinary classes at Westmoreland County Community College and has mentored numerous apprentice chefs throughout his career. He also helped to develop the Alumni Association’s popular cooking courses – Barbecue and Cooking universities. Wilson joined The Erickson Alumni Center in 2010. He placed sixth overall in the 2007 Best Teen Chef competition at The Art Institute of Pittsburgh and graduated from Westmoreland County Community College. He became a certified sous chef in 2009, and completed a 5,000-hour apprenticeship. He was a Chef De Partie and assistant pastry chef at Nemacolin Woodlands Resort for seven and two years, respectively. 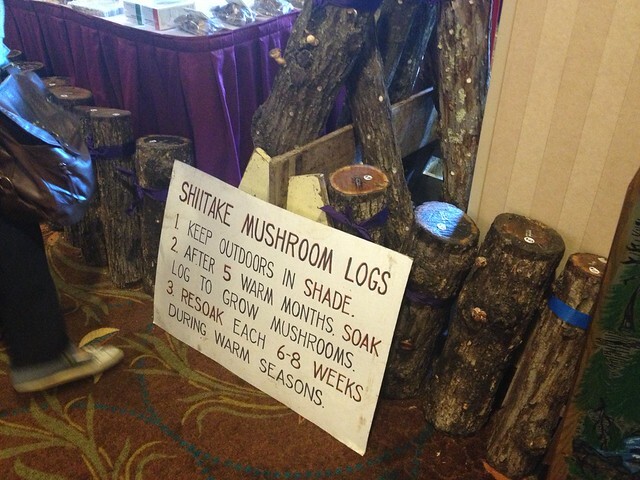 The Cast Iron Cook-Off might best be described as West Virginia’s culinary trade fair. Just as Tamarack showcases the artists and artisans of the state, the Cast Iron Cook-Off showcases its culinary talent and attractions. Cook-Off judges have included such national and international culinary celebrities as Dickie Brennan, Fred Raynard, Lee Ann Wong, Farmer Lee Jones and Rod Stoner, winner of the West Virginia Tourism lifetime achievement award. 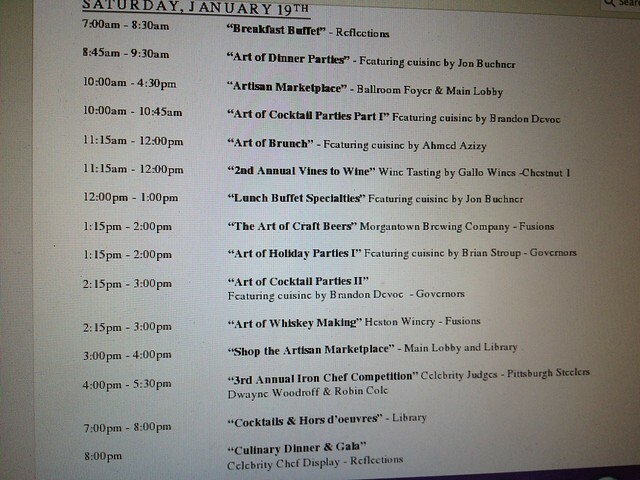 The event draws participants and chefs from around the region. For more information, visit http://alumni.wvu.edu. 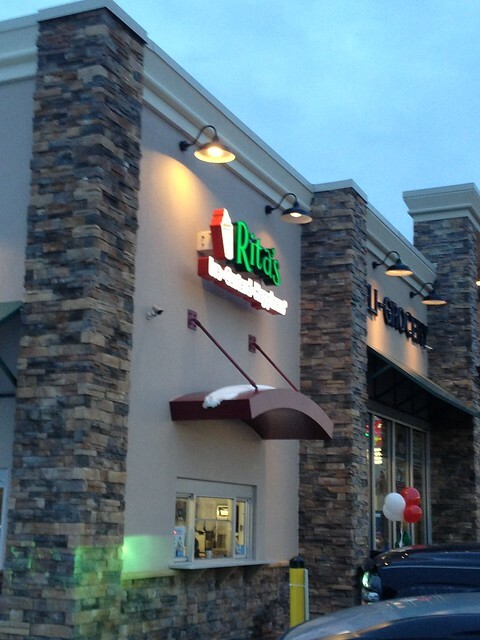 So I won't technically review Rita's Ice because it is a chain, but a new location did just open up in the MidAtlantic Market in the Pierpont Landing plaza. There is only one other location in West Virginia, so it's probably new to a lot of folks - including me! It's literally in the same building as the MidAtlantic Market and you can access it via the outside window or go in the actual store and over to their counter. It's an interesting setup. Outside, there is a table. But considering it was freezing outside, I sat in the small nook area they have in the store. 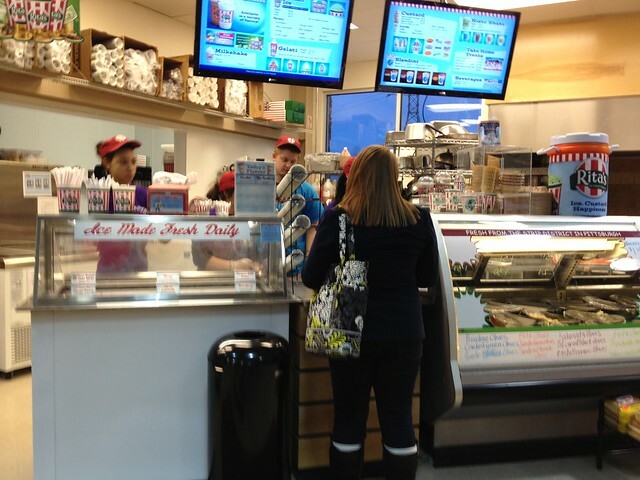 Rita's only has a select few flavors right now, but I tried their lemonade, and a friend tried their Sourpatch kids. I really liked both of these, but I almost wish I would've asked for half of each. It reminded me of those Bombpop popsicles - which I love! 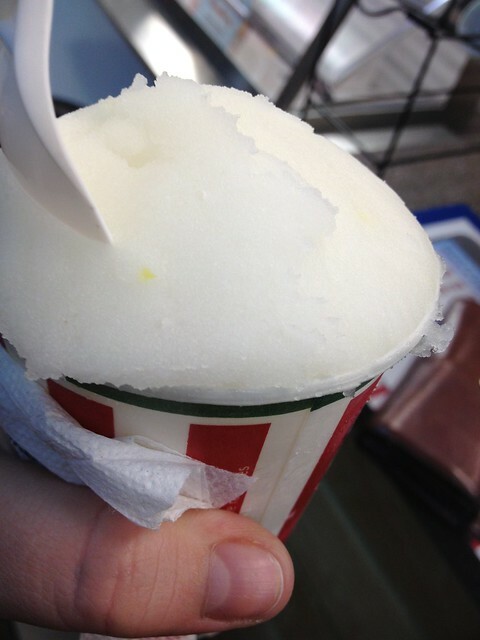 But the texture is like a smooth snowcone - not chunky, but not creamy like ice cream. Tasty! 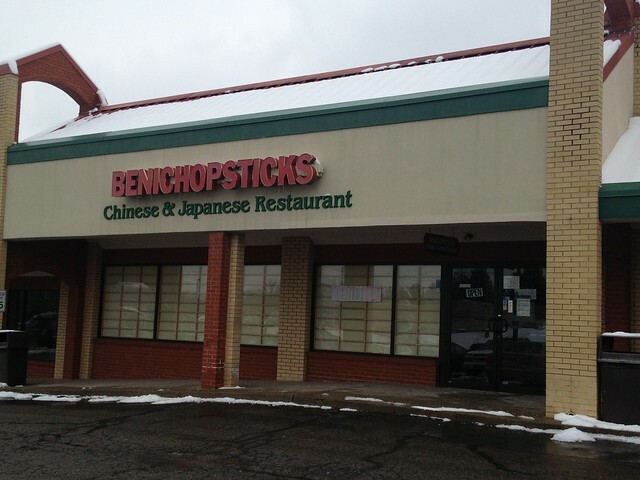 On our way to the South Hills Village mall, my friend and I decided to get lunch at Benichopsticks because it was on the way and had awesome reviews. 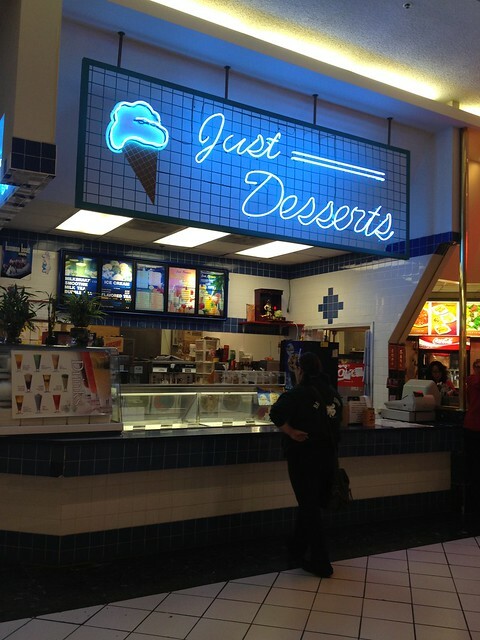 It's located in a strip mall plaza, but don't let that deter you. 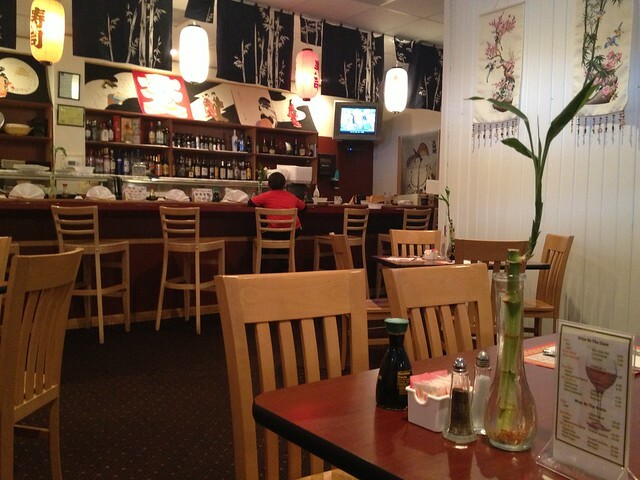 It was a little classier than your typical Asian joint you'd find in Morgantown - the waiters wore white shirts and ties, the decor was classic - not tacky, and it was very clean. That may be because we were the only ones in there. 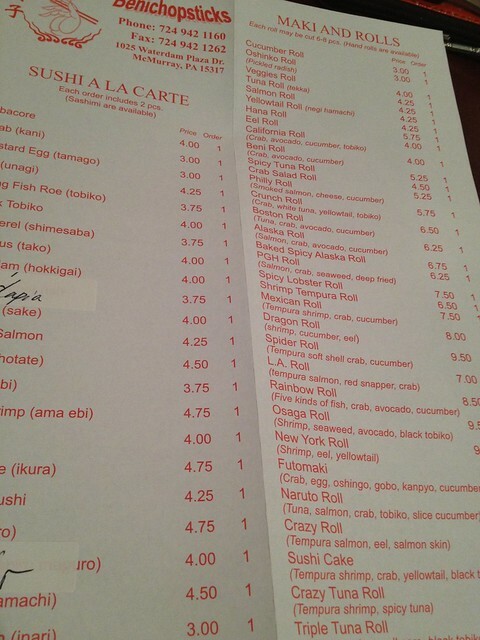 They have a Chinese menu and a Japanese menu, and a lunch menu for each. I wanted a little of each, so I ordered the crab rangoons, "Amazing Chicken" with an eggroll (you can get salad or soup) and white rice, and a Mexican roll. Our meal came out in courses. 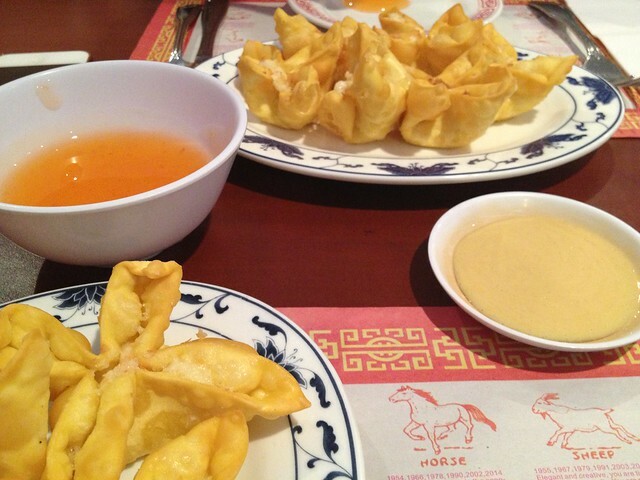 First, the rangoons: Much sweeter filling than what I've had before. It was very creamy and just a little different. But in a good way. It came with duck sauce and hot mustard. 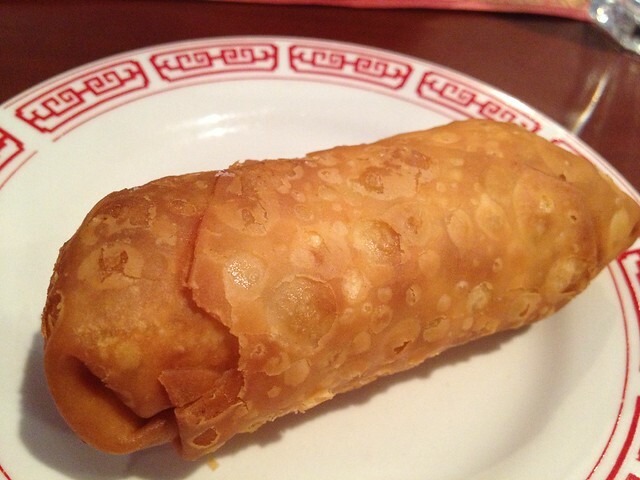 Next up was my eggroll. Pretty good, average eggroll with cabbage and carrots. The third course was our sushi rolls. My Mexican roll said it contained shrimp tempura, crab and cucumber. 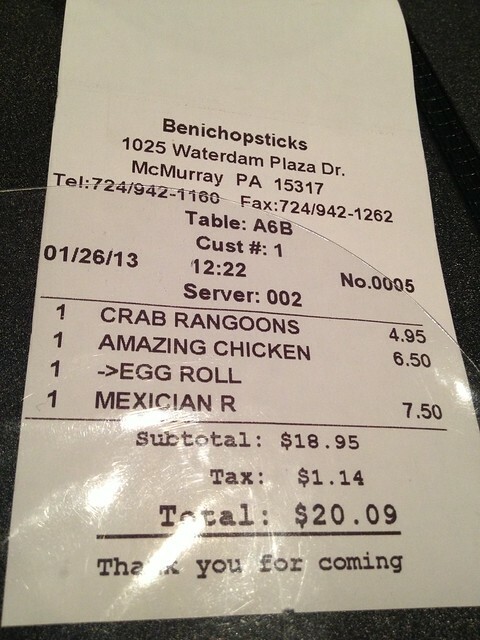 To my surprise, it also contained some jalapeno - probably why it's called the Mexican roll. While the jalapeno did add a nice balanced bite to the roll, I took some of it out because I didn't need the extra spice. 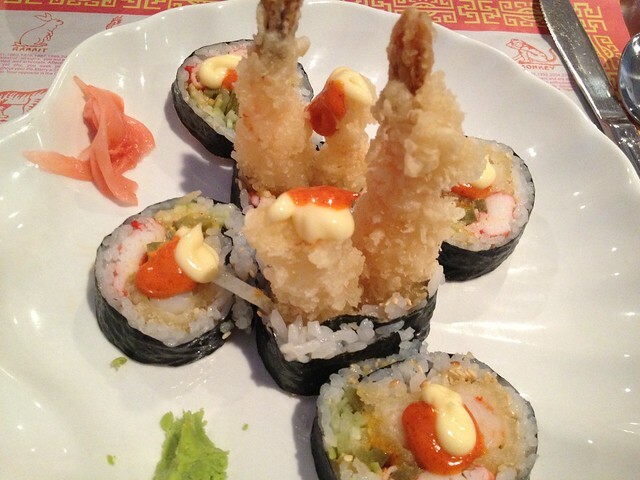 The six rolls had dollops of spicy mayo and eel sauce, which was really quite tasty. I really enjoyed the rolls - fresh, tasty, unique. Finally, our main entree came out. 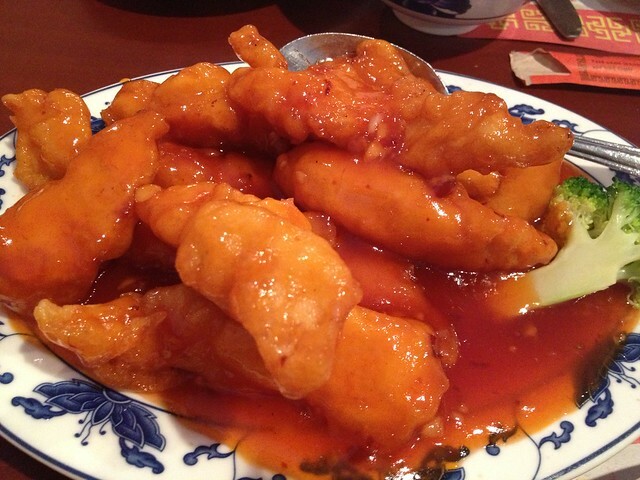 Amazing Chicken is just really a codeword for sweet and sour chicken. 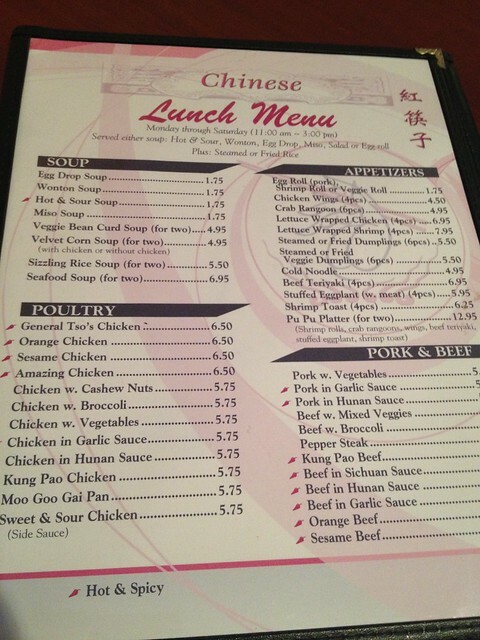 It was long strips of white breast meat lightly battered and in a sweet and sour sauce. It was really quite good. Having the quality meat makes all the difference. Even for leftovers, it tasted great. And finally, to make this a true five-course meal, they brought out mochi ice cream with our checks. 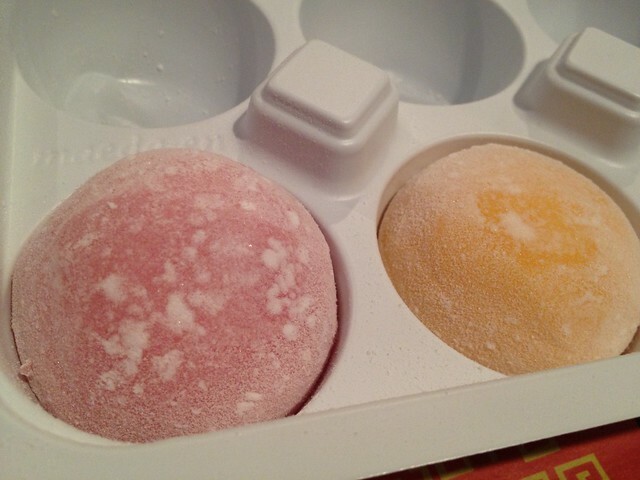 I've never had mochi ice cream, and I kind of have an aversion to mochi because of the texture. It reminds me of human flesh. BUT with ice cream inside, it makes it a little firmer and quite tasty. For all this, I only spent $20. 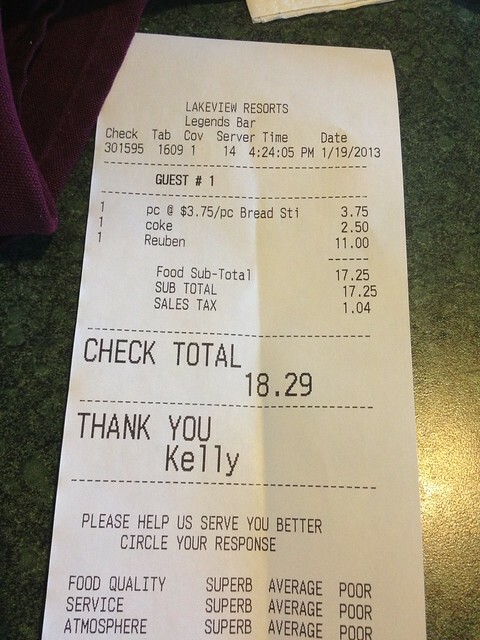 Granted, it was lunch time, so we got some specials. 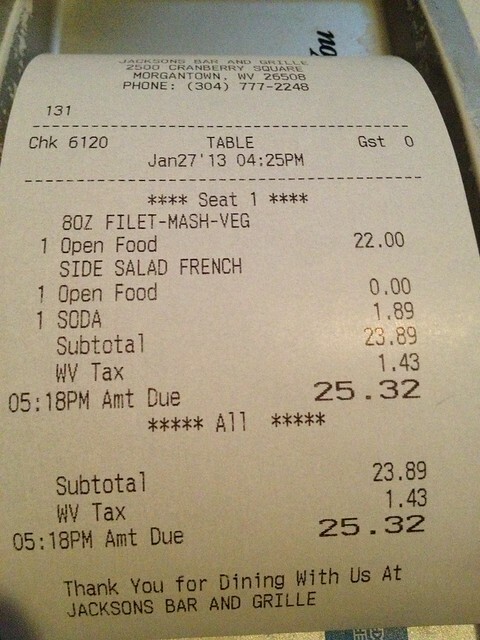 But you really can't beat good food - and that much of it - at that price. 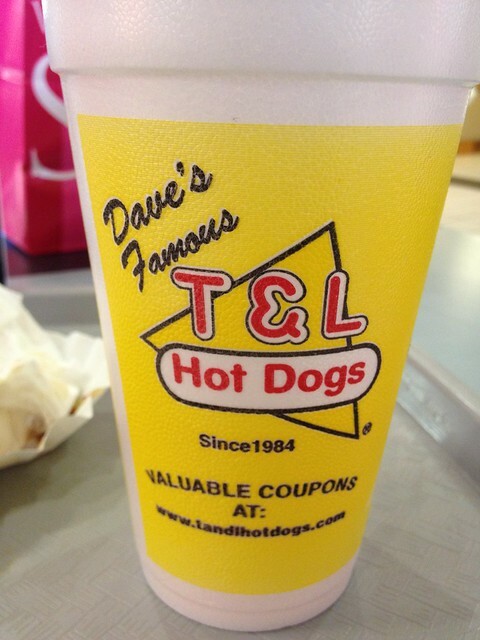 Dave's Famous T & L Hotdogs claims to be West Virginia's #1 selling hotdog, with locations in Bridgeport, Pruntytown, Clarksburg and Morgantown. They have this '50s diner look to their restaurants where they sell their homemade chili hot dogs and famous "fresh cut" fries. 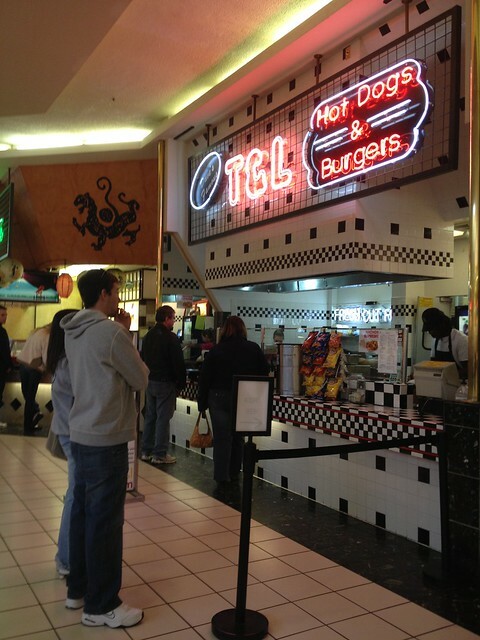 Unfortunately, Morgantown's location is a small area in the food court of the mall. Regardless, I wanted to try it out to see how their dogs measure up. I ordered their T & L original, which is a Sugardale all meat wiener topped with yellow mustard, Spanish onions, homemade chili sauce (mild, medium, or hot) and stuff in a fresh steamed bun. 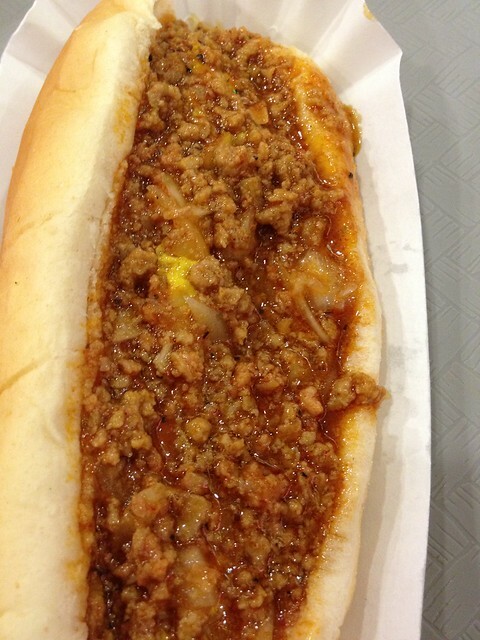 They also have a WV hotdog, which has all of the above plus slaw. That should make the folks at The WV Hotdog Blog happy. After a minute or so, they pushed out a tray with a solitary dog, so I assumed that was mine. But it was a soggy dog with some chili. No onions, no mustard. So I quickly asked if it was mine, so they checked it out. They added some onions and mustard. 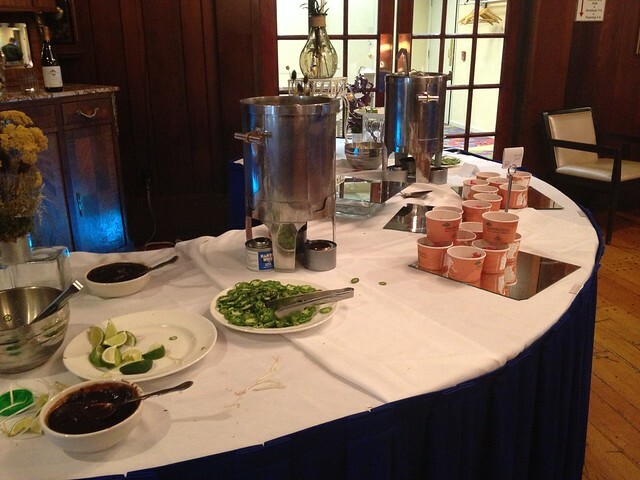 Those condiments still weren't really visible. Which probably wasn't a good indication. Soggy dog, mediocre ingredients. The sauce was thin and soupy that the bun sopped it all up, so it became soggy. The texture was yucky at this point, but luckily the chili had some flavor. That was really the only redeeming factor here. I was at Lakeview for their Festival of Food and Wine when my friend and I decided to have a quick dinner before leaving for the day. 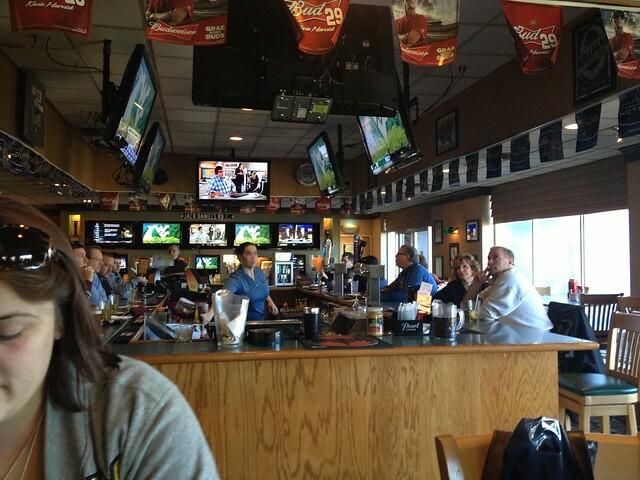 Their main restaurant was being used as a seminar space, so we hopped over to their sports bar - Legends. 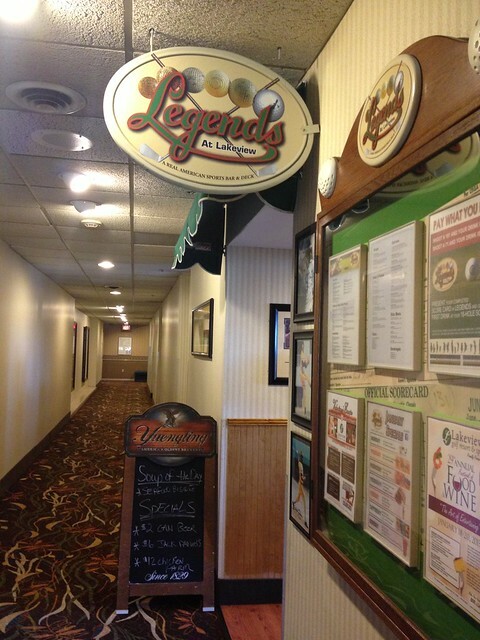 Legends overlooks the golf course, and surprise, is a hangout for the local golfers who want a bite to eat and a beer. There are a good bit of TVs posted up on the walls and around the bar area, and there is some seating that stretches toward the back of the space. We took a seat at high-top and I scooped up some menus that were laying nearby. It's not your typical bar food. While there are the classic spinach/artichoke dip and french fries appetizers, they also have items like chicken cordon bleu croissants, stuffed portabellos and reubens. I've never had a restaurant reuben before. 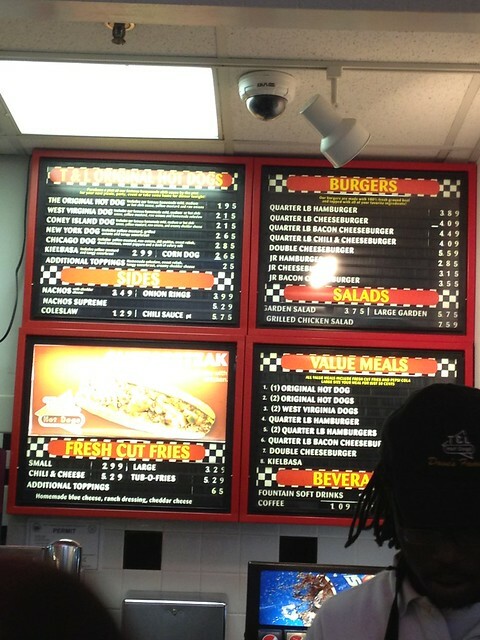 I asked the waitress what were the most popular, and she named the reuben as one of the top three so I put my order in. As well as a side of garlic sticks. 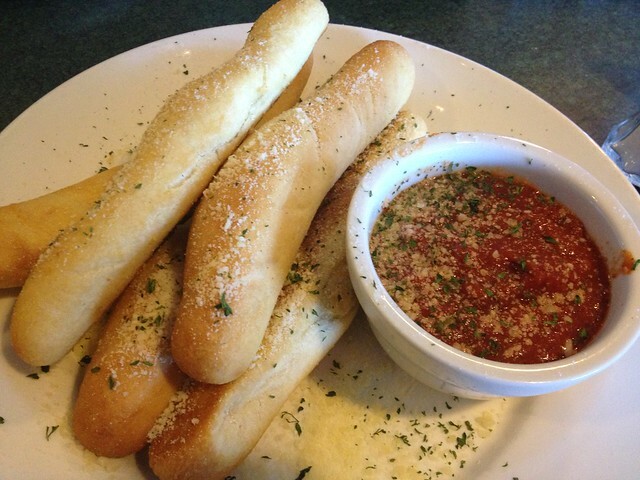 She brought the garlic sticks out as an appetizer, and they were good. They had a nice little crisp on the outside and were powdered in parmesan cheese and garlic. The marinara was a good consistency and fairly mild - not too heavy. Not a bad dish, but pretty bready. If they were a bit thinner, I think the sauce to bread ratio would've been better. The reuben was pretty good! Lots of melted swiss cheese intermingling between layers of corned beef and topped with creamy thousand island made for a unique, but flavorful blend. 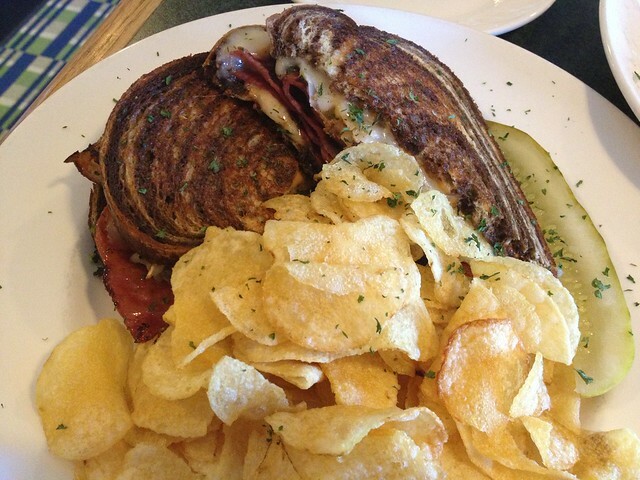 It's piled between two slices of grilled marbled rye bread and served with a side of chips and a pickle spear. There's not a ton of meat here, so for the carnivore, this may not fly. I, however, liked the extra cheese, so I'm a fan. 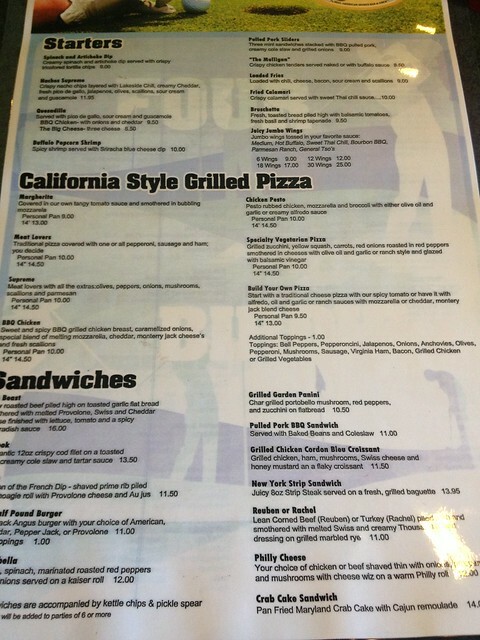 The restaurant is a little on the pricier side for a bar/grill, so you might want to check out the menu before committing! This place is a total afterthought to Wong's Wok. It's way overpriced - $6 for a generic milkshake. 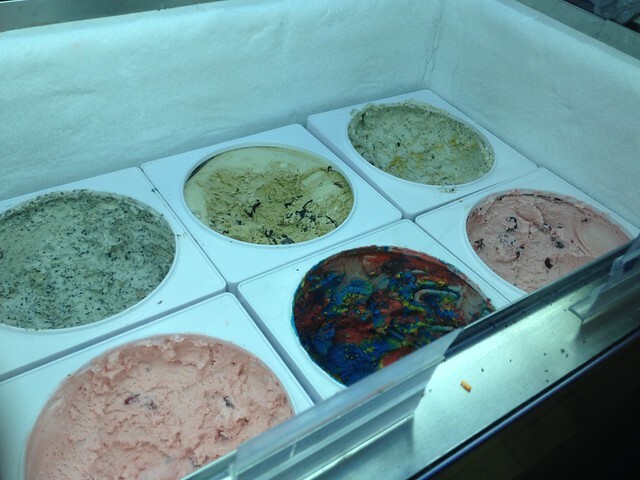 They have some Hershey's ice cream, which I got a milkshake from. It was called cookie monster and had chocolate, caramel and cheesecake. 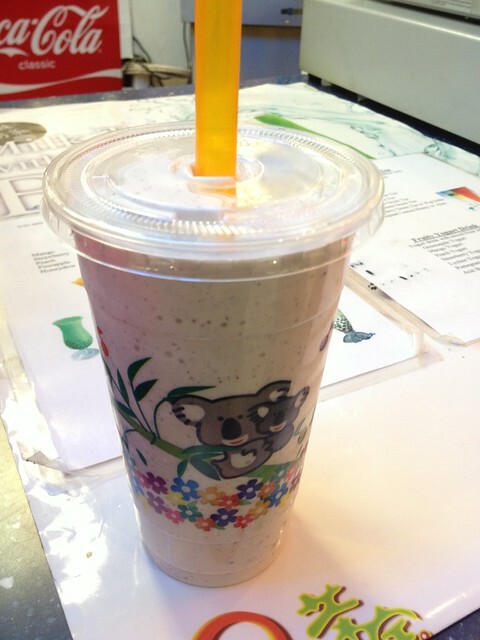 They have other items like bubble tea and smoothies, but it's all a little on the pricey side. They also don't take cards unless it's more than $5. Luckily, my milkshake was $6. But, it's mall food. What can you expect. Next time, I'll stick to just putting that ice cream in a cone. 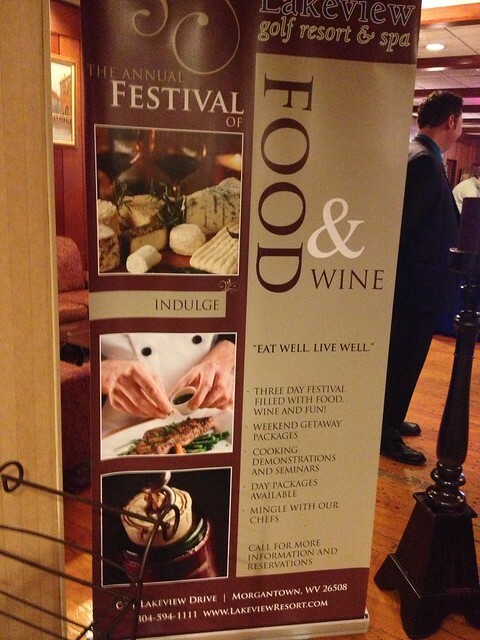 Lakeview Golf Resort & Spa held their 29th Annual Festival of Food and Wine this weekend, from Jan. 18 to Jan. 20. 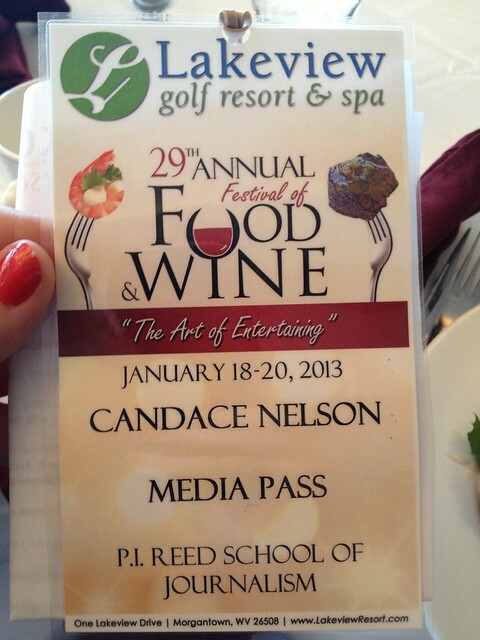 They graciously allowed me to attend so I could let my fellow foodies see what it's about. 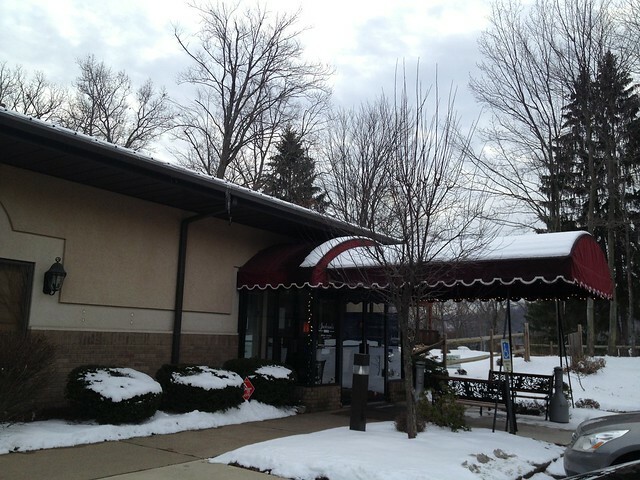 Lakeview is located in Cheat Lake, and is a nice area for visitors. It even has two restaurants: Fusion and Legends. The latter I'll talk about soon. I was able to stop by on Saturday, and luckily, as soon as I walked in, it was lunch time. 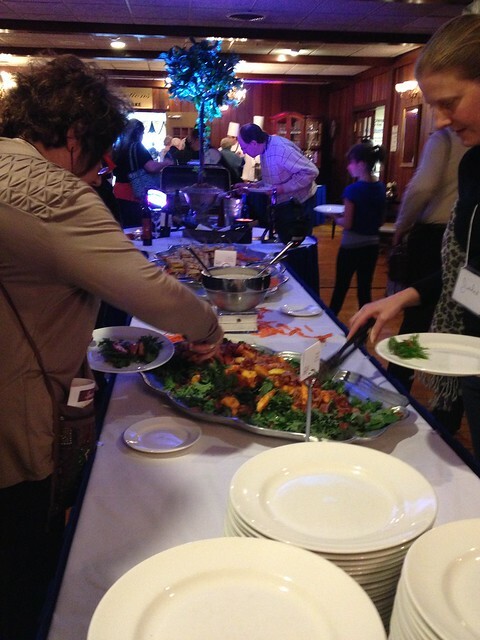 The buffet, by Chef Jon Buchner, featured a baby kale salad, pork Banh Mi sandwiches, braised greens, Ca Ri Ga - Chicken Curry, Vietnamese Cinnamon Flan, Pho Bo - Vietnamese beef noodle soup, and gourmet cookies and dessert bars. Buchner is the executive chef at Quail Hollow Resort in Painesville, Ohio. Lots of other talented chefs were featured as well. The food was fantastic. It was creative and different from anything I've ever had. 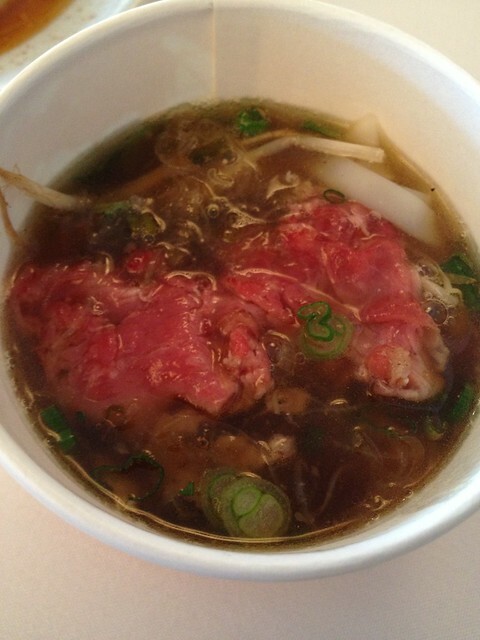 The soup was pretty cool, as the beef was served raw and when the chefs pour the broth over it, it cooks in your cup. So I watched it turn from bright pink to a darker well-done. 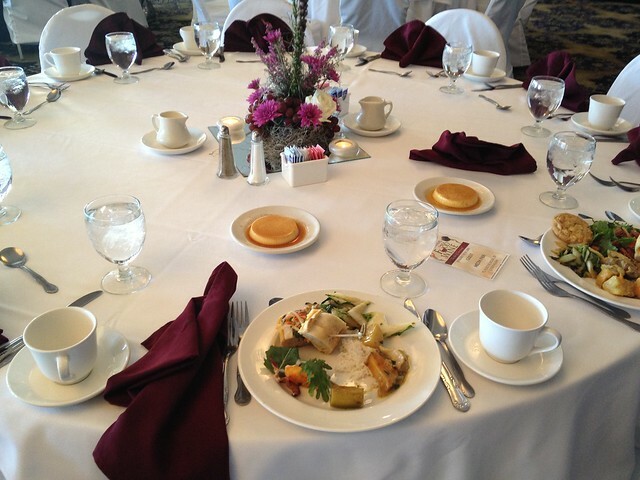 In addition to having delicious lunches and dinners, there are seminars scheduled throughout the day. Some are at the same time, so you can pick and choose what you'd like to attend. 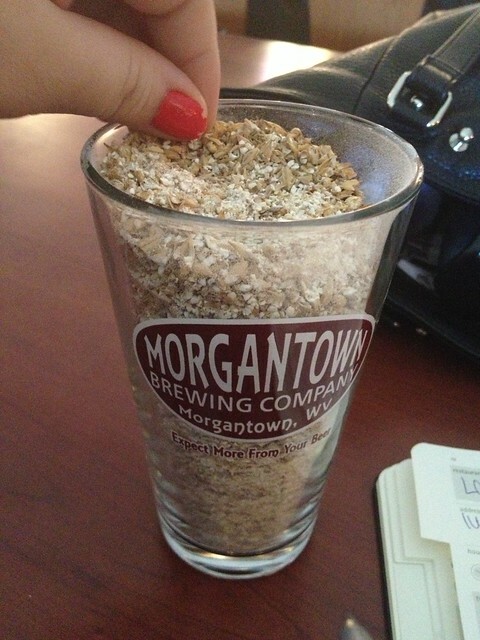 I went to "The Art of Craft Beers" by Morgantown Brewing Company. 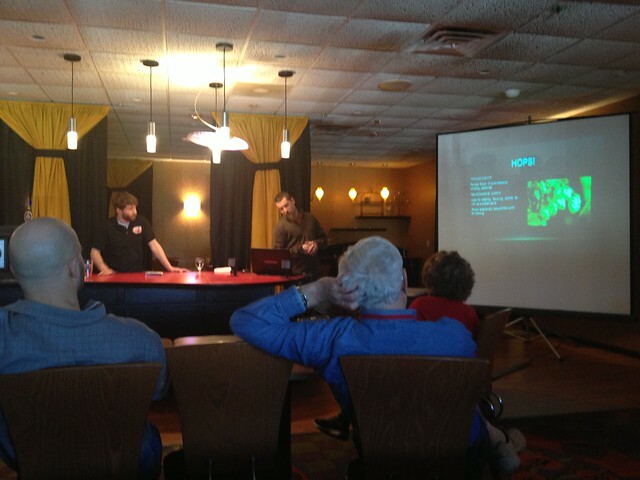 The folks talked all about the types of beers, what makes a brew pub and how beer is made. I actually took a lot of notes and learned more than I anticipated. 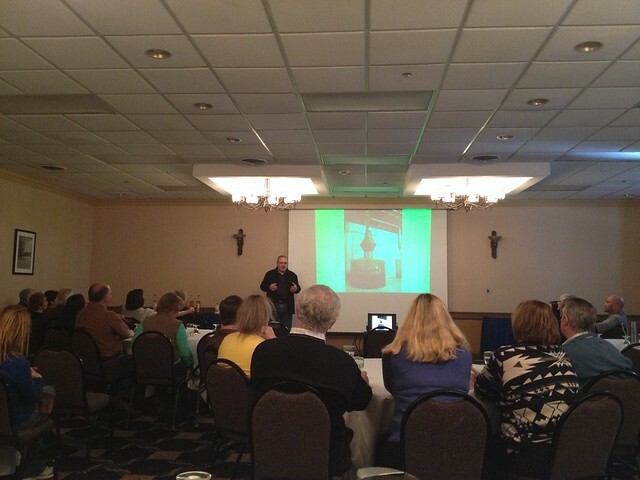 It was a really fun, informative session. 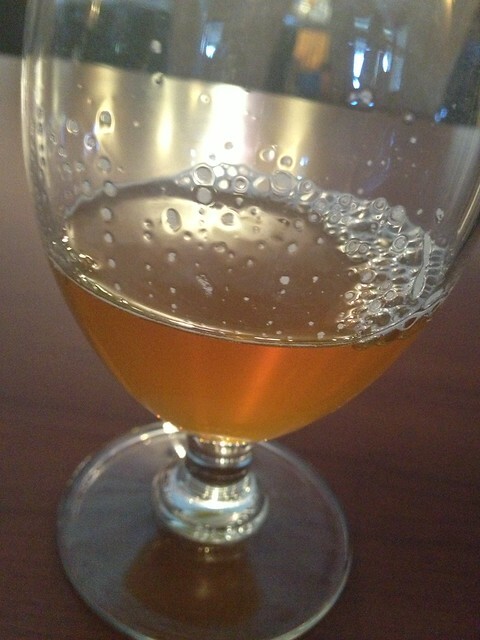 And we even got to taste some Holiday Blonde at the end! 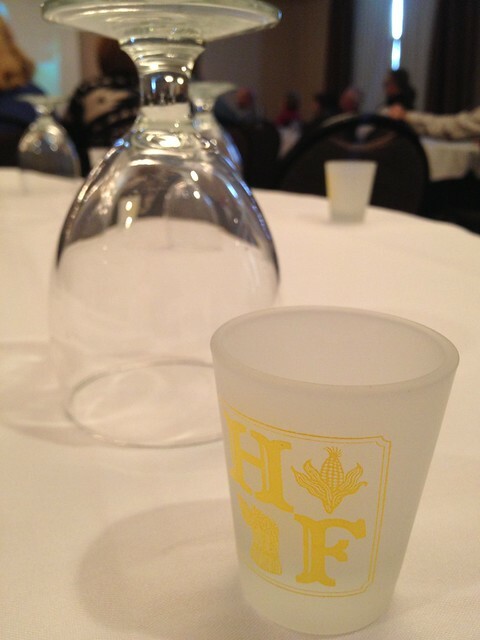 After that seminar, we hit up "Art of Whiskey Making" presented by Heston Winery. He was great, as well. He spoke about the distillery, how he got started, the different kinds they sell and what distinguishes certain types of liquors from others. 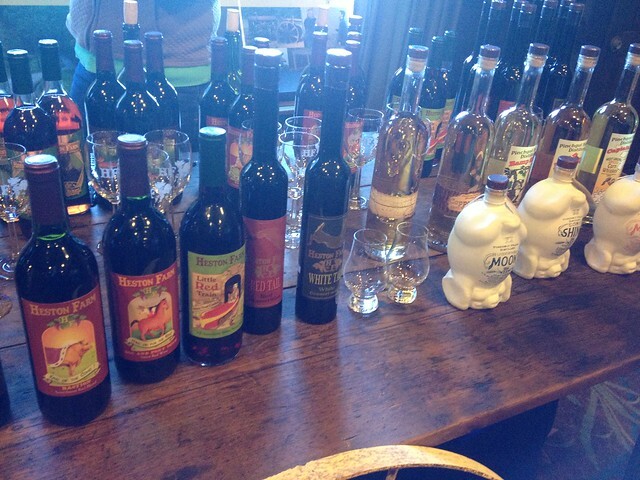 And, of course, we got to taste some moonshine. Maybe a little too much moonshine! They also have vendors in the lobby area showcasing all kinds of products and services - from food to jewelry to massages. If you visit all of them, you're entered into a drawing for prizes. In addition to all of that, you get a nice little gift bag that has a schedule of events, menus, a souvenir magnet and a small bottle of wine. It's a great opportunity to see a festival of this caliber in Morgantown. If you want to try something new and have the chance to talk with many experts in culinary arts, this is a fantastic venue to do so. They already have next year's festival planned, and since it'll be the 30th annual, it's sure to be a big one.